At Ortodoncia Tres Torres Barcelona we want to make everyone smile! For this reason we offer our clients the best payment options we can. The price of your braces is calculated on a case-by-case basis and depends on the treatment you choose: lingual, Invisalign or brackets. We are specialists in Orthodontics. Let us analyse your case and recommend which treatment would best fit you. You will see that in just a few months you will have the smile that you always dreamed of. Make an appointment with no commitment. Once we have diagnosed your problem we will let you know how long the treatment will take and how much will it cost. Your first visit is free of charge and with no commitment. This is when we get to know you and make the diagnosis. Choosing the right treatment is basic for the patient to achieve the smile he has always wanted. 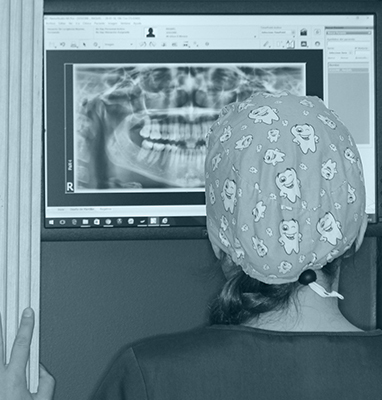 The price of the orthodontic treatment do not depend only on the technique used, the equipment and its complexity, but other variables such as the duration of the treatment and the inherent costs of each brace will determine the final price. For example, a fixed orthodontic treatment is not the same as a removable orthodontic, which is why the prices can not be the same either. In fact, when it comes to analyze the type of orthodontic braces to choose, sometimes, it is necessary to address previous dental or periodontal treatments that must be taken into account, both by the orthodontist and by the patient. Now you can start your treatment and in a very short lapse of time show your new smile. in your treatment and in the successive treatments of your relatives. 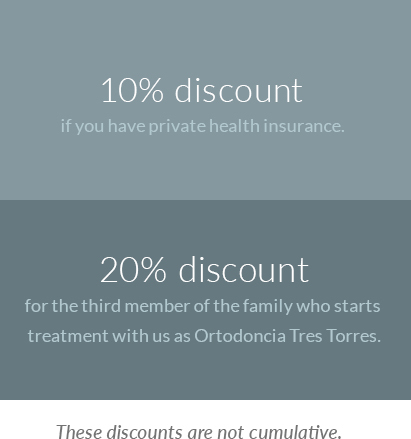 At Ortodoncia Tres Torres Barcelona pay for your treatment will not be a problem. We offer each patient a personalized finance without interest and without the need to provide any type of documentation. Make an appointment with no commitment! We will quote you a fixed price for your treatment that you can pay in easy monthly dues with 0% finance. Make an appointment now! Find out what treatment we recommend and how much your braces will cost.